Tokyo Tower (東京タワー Tōkyō tawā) is a communications and observation tower in the Shiba-koen district of Minato, Tokyo, Japan. At 332.9 metres (1,092 ft), it is the second-tallest structure in Japan. The structure is an Eiffel Tower-inspired lattice tower that is painted white and international orange to comply with air safety regulations. Built in 1958, the tower's main sources of revenue are tourism and antenna leasing. Over 150 million people have visited the tower. FootTown, a four-story building directly under the tower, houses museums, restaurants and shops. Departing from there, guests can visit two observation decks. The two-story Main Observatory is at 150 metres (490 ft), while the smaller Special Observatory reaches a height of 249.6 metres (819 ft). The tower acts as a support structure for an antenna. Intended for television broadcasting, radio antennas were installed in 1961, but the tower now broadcasts signals for Japanese media outlets such as NHK, TBS and Fuji TV. 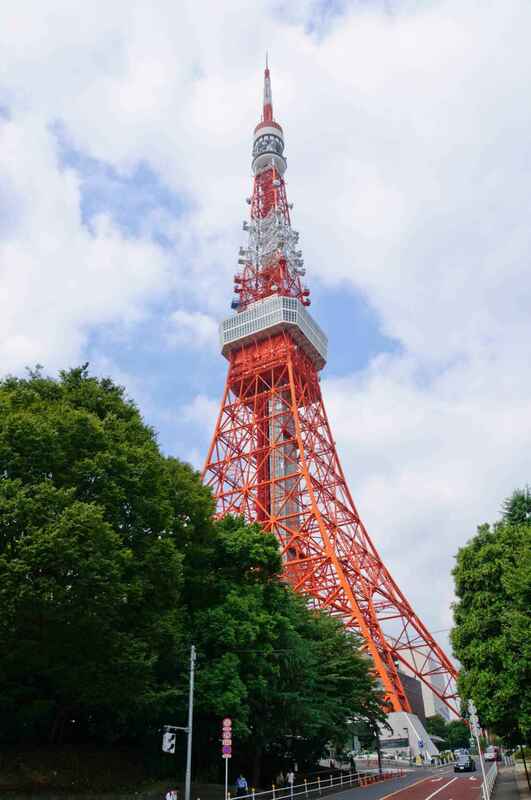 Japan's planned digital television transition by July 2011 was problematic, however; Tokyo Tower's height, 332.9 m (1,092 ft) was not high enough to support complete terrestrial digital broadcasting to the area. A taller digital broadcasting tower, known as Tokyo Skytree, was completed on 29 February 2012. 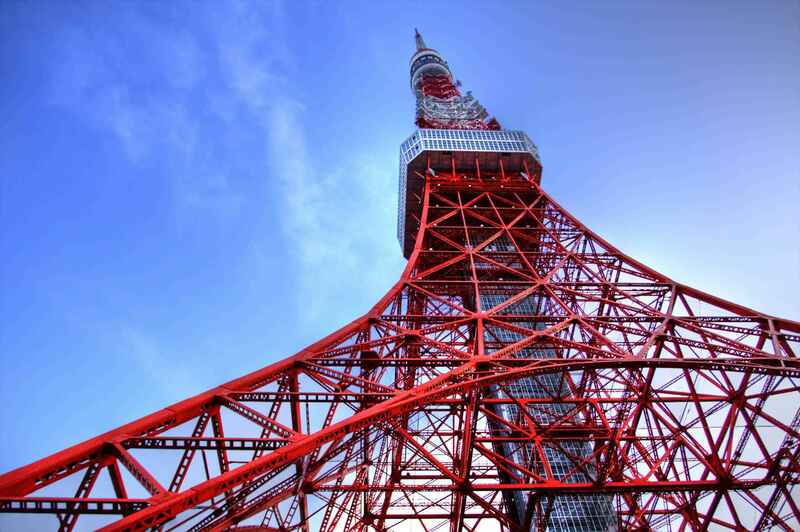 Tokyo Tower's two main revenue sources are antenna leasing and tourism. It functions as a radio and television broadcasting antenna support structure and is a tourist destination that houses several different attractions. Over 150 million people have visited the tower in total since its opening in late 1958. It has recently been attracting approximately 3 million visitors per year. The first area tourists must visit upon reaching the tower is FootTown, a four-story building stationed directly under the tower. Here, visitors can eat, shop and visit several museums and galleries. Elevators that depart from the first floor of FootTown can be used to reach the first of two observation decks, the two-story Main Observatory. For the price of another ticket, visitors can board another set of elevators from the second floor of the Main Observatory to reach the final observation deck—the Special Observatory. Located in the base of the tower is a 4-story building known as FootTown. The first floor includes the Aquarium Gallery, a reception hall, the 400-person-capacity "Tower Restaurant", a FamilyMart convenience store and a souvenir shop. This floor's main attractions, however, are the three elevators that serve as a direct ride to the Main Observatory. The second floor is primarily a food and shopping area. In addition to the five standalone restaurants, the second floor's food court consists of four restaurants, including a McDonald's and a Pizza-La. FootTown's third and fourth floors house several tourist attractions. The third floor is home to the Guinness World Records Museum Tokyo, a museum that houses life-size figures, photo panels and memorabilia depicting interesting records that have been authenticated by the Guinness Book. The Tokyo Tower Wax Museum, opened in 1970, displays wax figures imported from London where they were made. The figures on display range from pop culture icons such as The Beatles to religious figures such as Jesus Christ. A hologram gallery named the Gallery DeLux, a lounge and a few specialty stores are also located on this floor. Tokyo Tower's Trick Art Gallery is located on the building's fourth and final floor. This gallery displays optical illusions, including paintings and objects that visitors can interact with. On the roof of the FootTown building is a small amusement park that contains several small rides and hosts live performances for children. On weekends and holidays, visitors can use the roof to access the tower's outside stairwell. At approximately 660 steps, the stairwell is an alternative to the tower's elevators and leads directly to the Main Observatory. 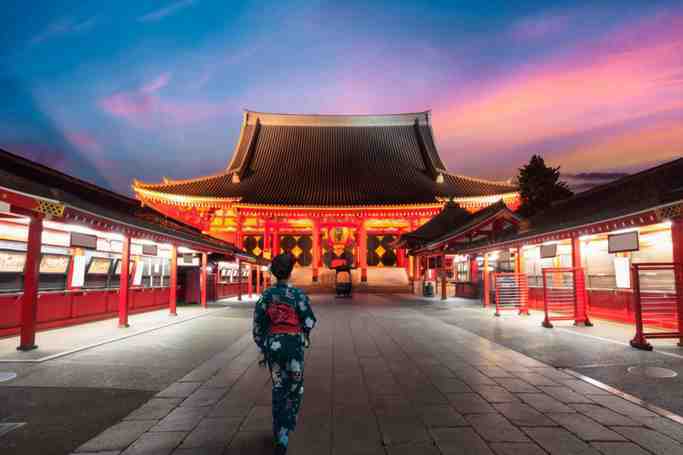 Tokyo Tower | eTips Inc.